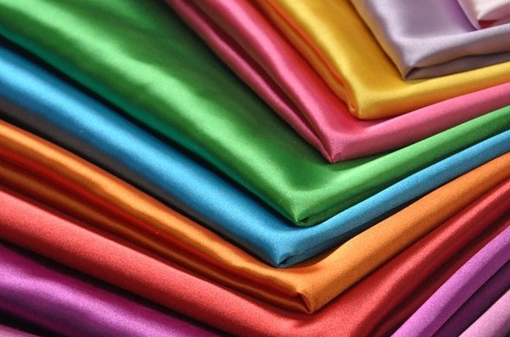 Established in the year 1998, Siera Silks is a manufacturer and exporter of Silk fabrics. In our mission to decorate and design each of our client’s thoughts, we have been successful in creating a niche for ourselves. We deal with different products such as Dupion, Taffeta, Satin, Organza, Chiffon, Georgette, Tussar, Crepe, Thin Silk, Jaquards. Our rich expertise in the silk industry and well-trained professionals, we are able to provide quality and exquisite products to our clients. Siera Silks is also associated with computerized designing, manufacture and export of Silk fabrics. With our stringent quality control, competitive pricing and fancy designs, we assure creative and satisfying products to our clients. The unit has got 18 semi automatic looms with 10 Jacquards and 6 dobbies. The Jacquards are of 1200 Hooks and the dobbies are of paper type. We have added shuttless Swiss made sulzer weaving machines with the combination of 170 cms wide and 320 cms wide with staubli Jacquards with 6200 Hooks. The unit is being run by Sri.Ramesh H. Kanakaraddi, Managing Director who has a technical background and is well versed in the field of natural silk fabrics. The two N.R.I. directors are based in USA and are one of the leading importers of natural silk fabrics from India. Our production capacity is about 15000 to 20000 meters per month inclusive of all qualities and currently we employ about 70 people. We have got highly experienced and technically qualified people looking after the various stages of production. With our emphasis on quality and speedy delivery schedules we look forward to becoming one of the leading manufacturers and exporters in the near future. A highly-skilled team of professionals and an expertise in the field for years constitute the designing team at Siera. The professionals make sure of the requirement of the clients, analyze it and then go on to develop the required product or design. Siera is one of the premier organizations in the country to specialize in silk textiles. “Quality” is the key word, in our production house. The customer’s choice and demand is the organization’s requirement. The professionals at the organization strive hard to blend an extra element named “perfection” to the product. however, archaeologists say that it began even earlier than that. It is said that it was Lady Hsi-Ling-Shih, the wife of the mythical yellow emperor, who initiated silk rearing. She is said to have invented the loom.